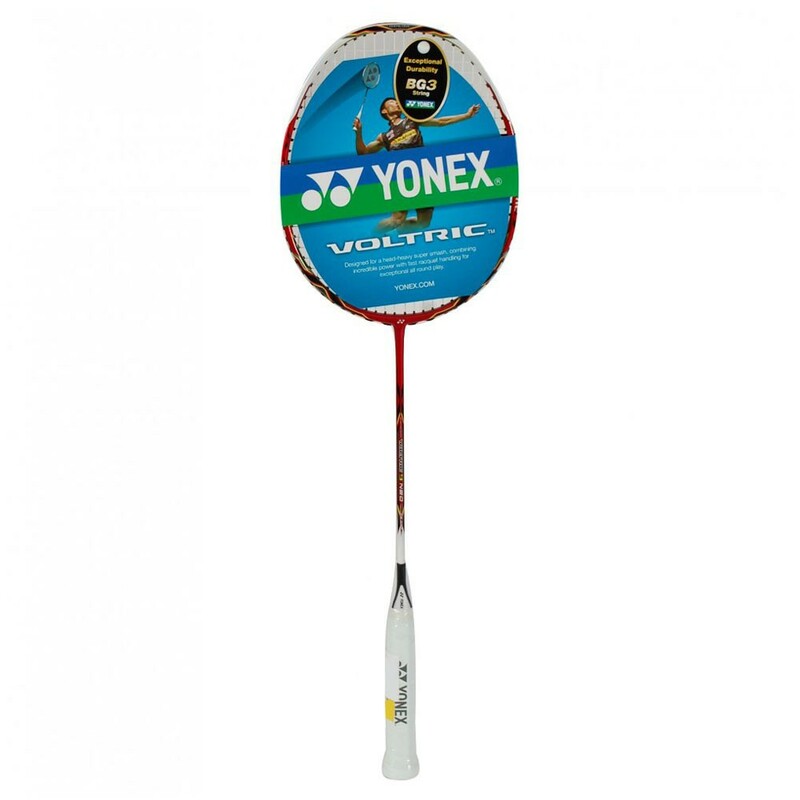 Yonex Voltric 9 NEO Badminton Racket is the upgraded version of Yonex Voltric 9.It is developed with the technology of Tri Voltage System. 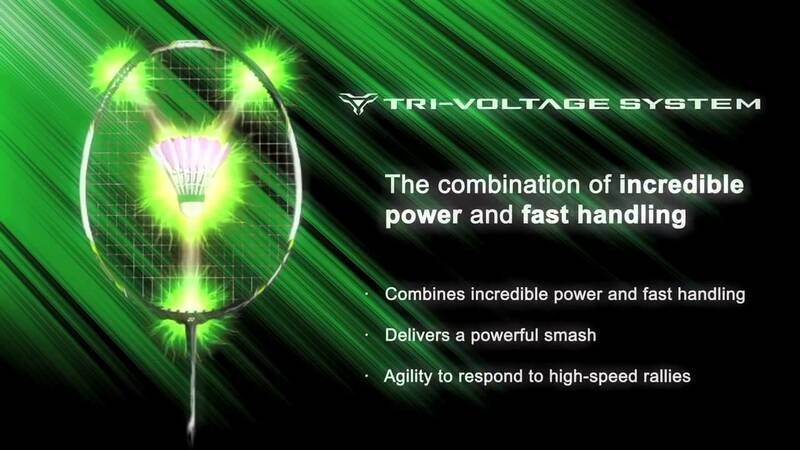 Tri Voltage System ensures the combination of power and speed. 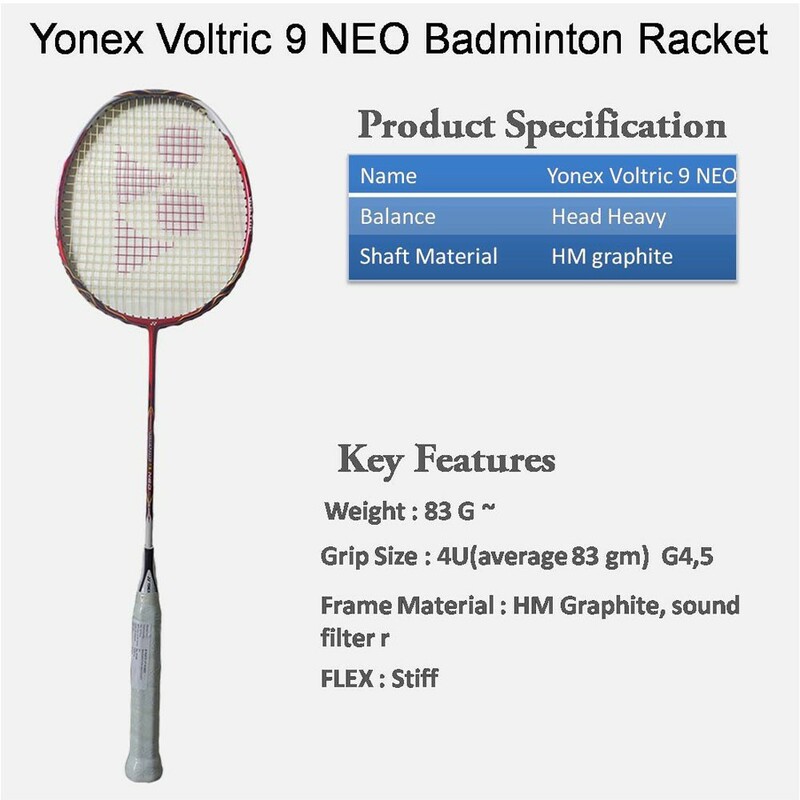 The Voltric 9 Neo is basically for intermediate and advanced player, who play aggressive power/smashing game. 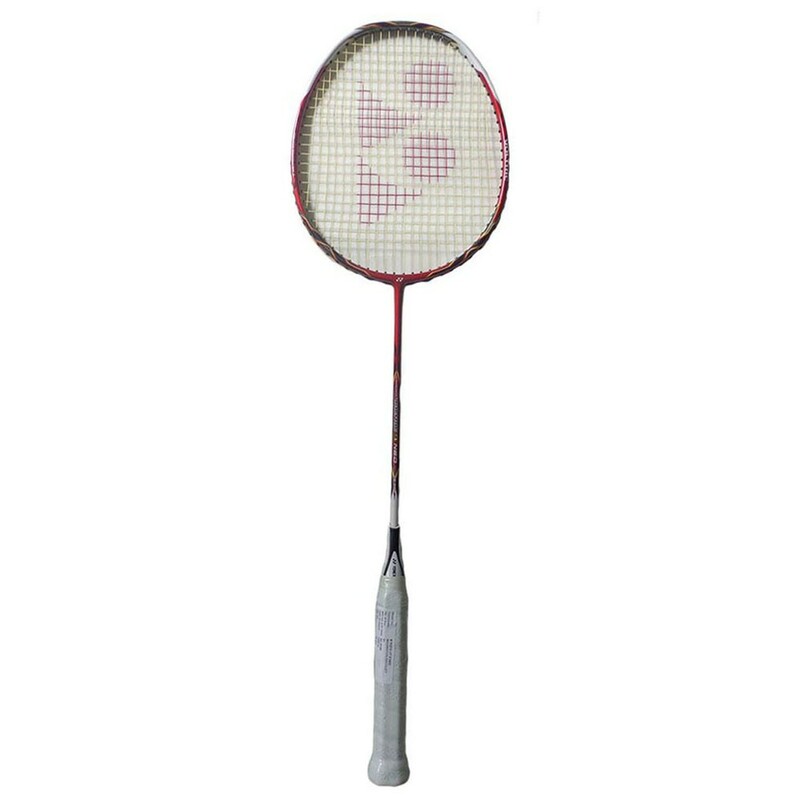 Excellent for doubles or mixed doubles player that are attacking from the back of the court. With this technology the stiff racquet structure at the top of the frame head allows the head to bend in a very controlled way and hold shuttles on the string bed for longer. The thin frame sides then allow the frame to flex more.